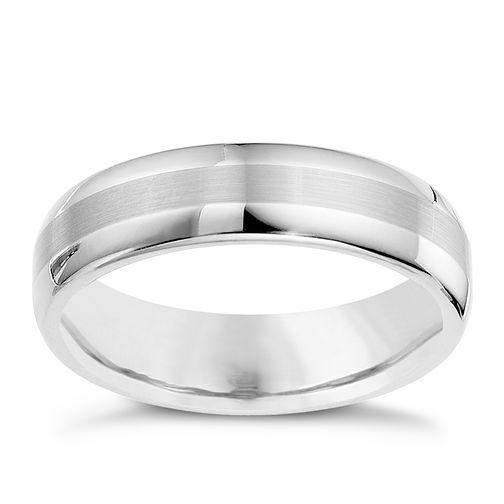 Tungsten two tone ring combining a matt and polished finish. Classic design with a modern updated with a two tone strip effect. Tungsten two tone strip ring is rated 3.3 out of 5 by 7. Rated 5 out of 5 by Anonymous from Extremely hard wearing I'm honestly clueless as to what some of these people leaving reviews have done to 'tarnish' their ring. My job is very manual, lots of climbing plant machinery, grabbing metal rails, handling bricks, blocks, paving slabs. I've had this ring for 6 years now and it still looks brand new so what have these other people been doing? Taking to it with a steamroller?